Inspired by her family, mother and wife Roda Del Rosario braved the stage of the Blinds Audition. She was surprised to see Luis Manzano while they were having some family time at the zoo. Luis pretended to give them the tour but in the end he told her the good news. 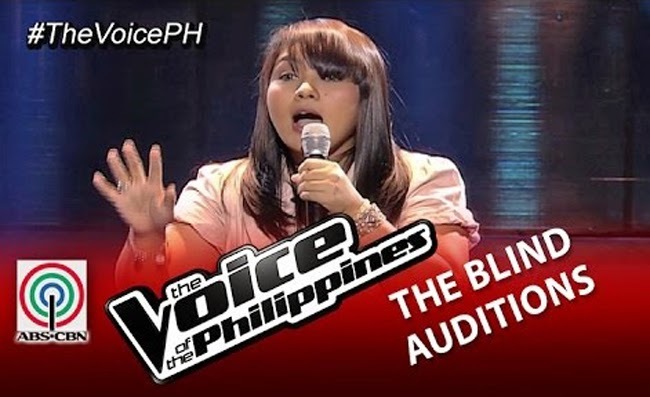 She is determined to prove that she has a talent to be The Voice of the Philippines. With the song ‘Araw Gabi’ she had put the coaches into a quiet atmosphere. Apl gave out a loud ‘ohh’ but it were Lea and Bamboo who turned at the same time. Leah even shouted that she likes Roda. Apl aked her for her inspiration, she shared that she idolizes her father as a singer. She self taught herself for her skill because her father did not want to teach her. Lea was happy about a certain note that Roda was able to hold for a long time. Bamboo told her that he can’t let her go without giving her a chance in the music industry. Sarah and Apl said that they believe that Dang has a great voice and they did not turn their chairs because they were still looking for a certain style. Dang had a hard time choosing but in the end she had chosen Bamboo who said that he was honoured to be picked. She picked Bamboo because she believes that he has the ability to push a talent into something more.